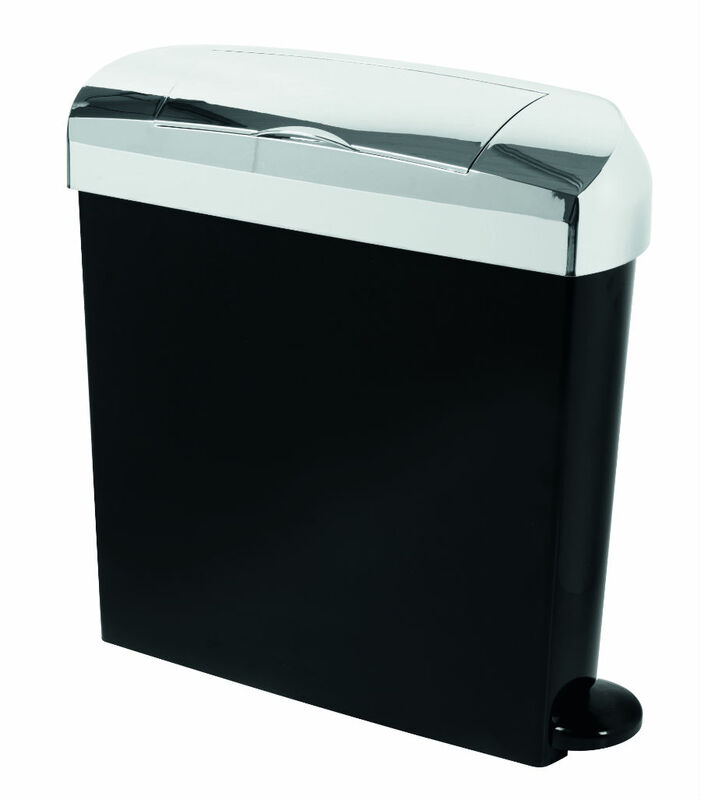 All our units are slimline and pedal operated which means a more hygienic experience for the user. 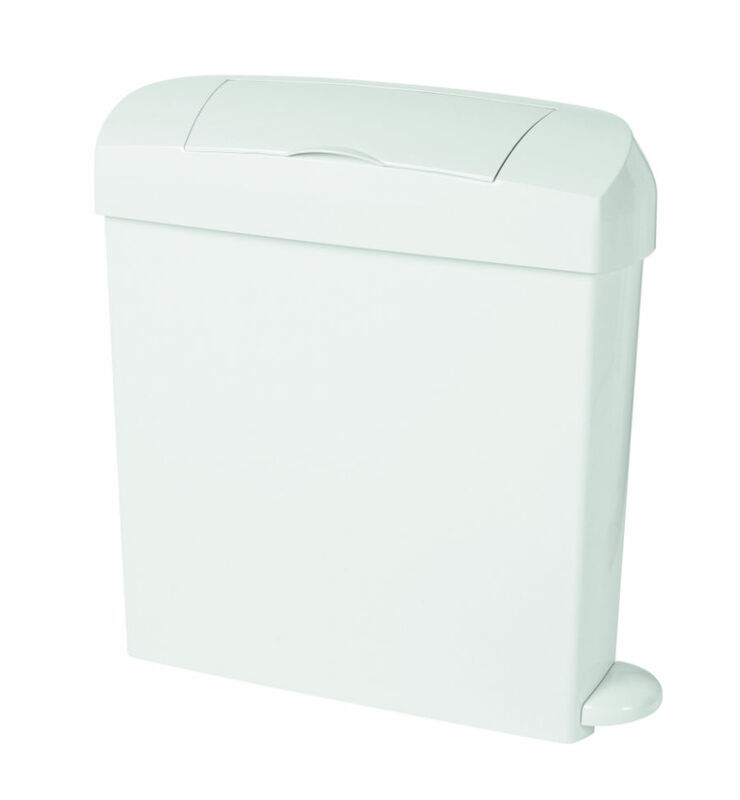 The Premier unit is manufactured in white or grey durable plastic. It features a wide opening lid and discretion panel. The deluxe has a similar design but comes in a high polished chrome finish. Both are also available as min-peds for those extra small cubicles. For additional hygiene, both are also available in a ‘no-touch’ fully automatic version. Simply wave your hand over the sensor and the lid opens, closing automatically after receiving contents. Health & Safety. The Units are kept odour free, using a dry crystal powder that employs advanced bactericidal technology for control of MRSA; E-Coli; Hep-B; HIV and a wide range of other micro-organisms. The units are free on loan, service intervals can be 2- 4 weekly and are carried out by our trained technicians. We also provide clinical waste services including sharps and nappy bins. 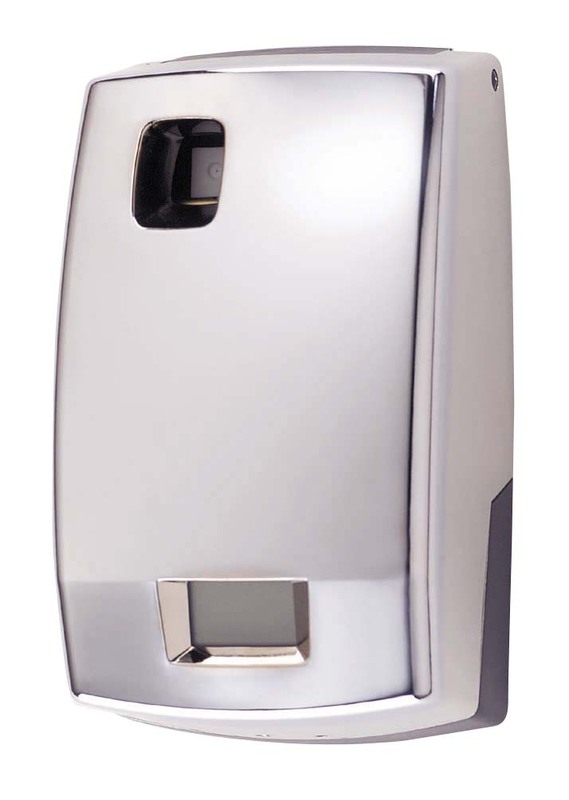 Our Air Fresheners have a sleek curved design that compliments any washroom environment. 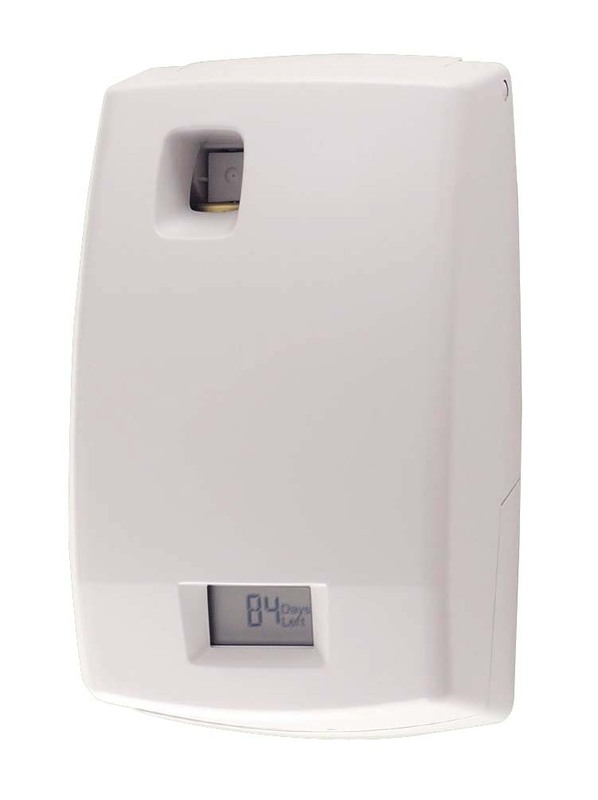 They are digital and fully programmable, capable of operating 7 days a week, 24hrs a day deodorising your washroom in a choice of fragrances. Fragrances – The fragrances contain a special neutralising agent which breaks down any malodour molecules found in their path, leaving only clean fragranced air. Service – Service intervals can be set monthly or 2 monthly and are carried out by our trained technicians.